To start with the numbers indicating growth and market value of mHealth is unnecessary. 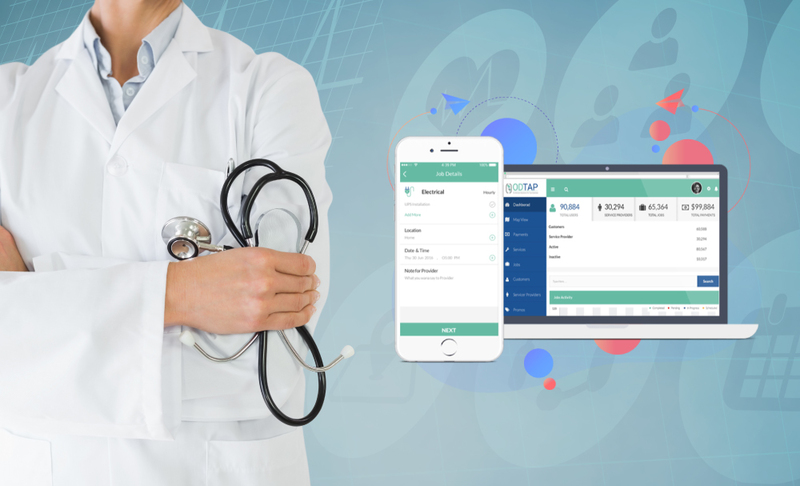 You are well aware of the potential of on-demand healthcare app market – that is why you are here. However, the numbers are too overwhelming to bypass. A brief overview should be fine. With a projected growth rate of 62%, the global mHealth market will reach as high as $60 billion by 2020. Besides, the number of healthcare apps downloads crossed 3.7 billion at the end of 2017 (Statista, 2018). Mobile doctor apps make the fastest growing digital healthcare businesses with a massive 460% increase in market value between 2015 and 2018. First response emergency medical services (EMS) and telemedicine also demonstrate strong upswing. Healthcare apps are making gains in every sector. However, some of the business models carry more potential than others due to market size and drawbacks of traditional services. Following four models are most successful. Traditional healthcare model often comes under fire from social activists. The primary argument is the fact that this conventional model forces patients to reach clinics despite the non-travel recommendations. Doctor on-demand redefines the traditional model to facilitate patients. Healthcare practitioners have to treat patients either at patient’s selected place or through video conferencing. Agreeably, this model works well for routine checkups of patients but impractical when assistance of machines is required. 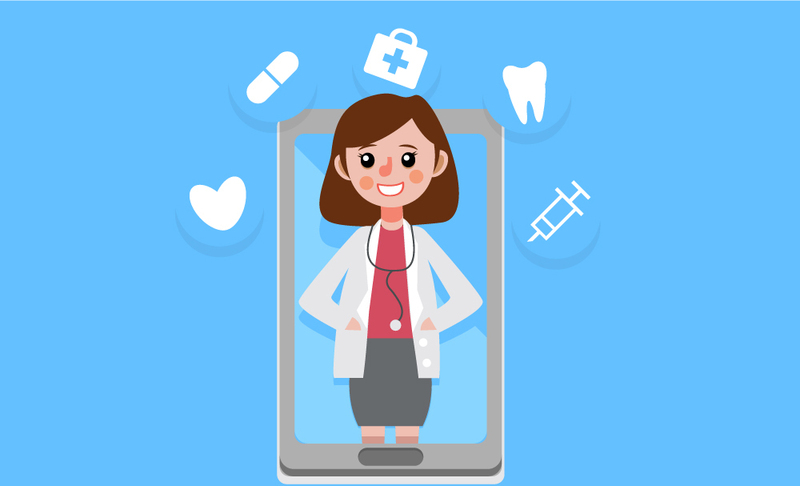 The increasing demand for doctor on-demand apps follows from the fact that most patients intend treatment of minor illnesses. 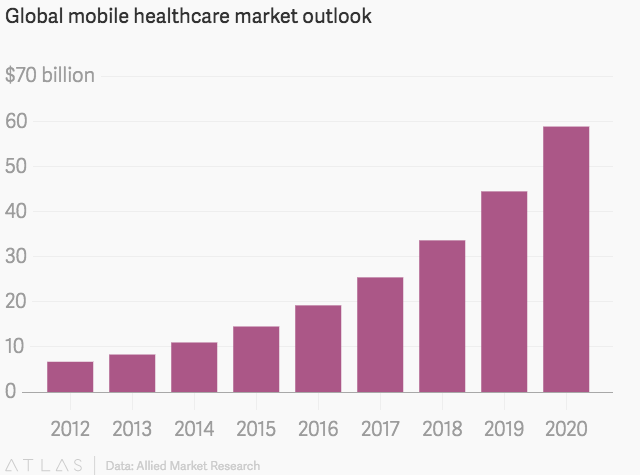 Although mobile doctor apps are around for over a decade they made gains in 2014. There had been two apparent reasons for this delay. First was the lack of trust in online doctor approach. Second was the deficit of sufficient technologies including internet speed and video quality. Technological development has minimized both of these factors considerably. The success probability of mHealth is even higher in developing countries with poor patient to doctor ratio. Healthcare may not be growing fast in many countries. Nevertheless, governments are facilitating rapidly climbing access to smartphone and internet access to promote mHealth. A report from Deloitte considers telemedicine apps as the future of medical prescription. It also reveals a survey result highlighting that over 80% of doctors consider telemedicine more effective for treating chronic diseases. Furthermore, the report forecasts that software will be more efficient in predicting disease by 2022. These astonishing revelations indicate that telemedicine will not be a choice in a few years. Instead, it is going to become a compulsion. Another indicator which makes telemedicine a significant business model is flexibility in regulations. The US legislators are taking keen interest in making telemedicine successful. A number of regulatory policies were released in this regard last year. There are various definitions of telemedicine. Some analysts also consider sharing info on Medicaid services as part of telemedicine. Regardless of the scope of definition, the businesses in this domain are surely set to earn big time. 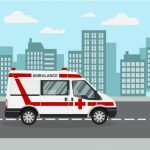 The need for on-demand ambulance is arising because ambulance drivers require time management more than employees in any industry. With such a service, drivers and patients/caretakers can share the precise location of each other in real-time. 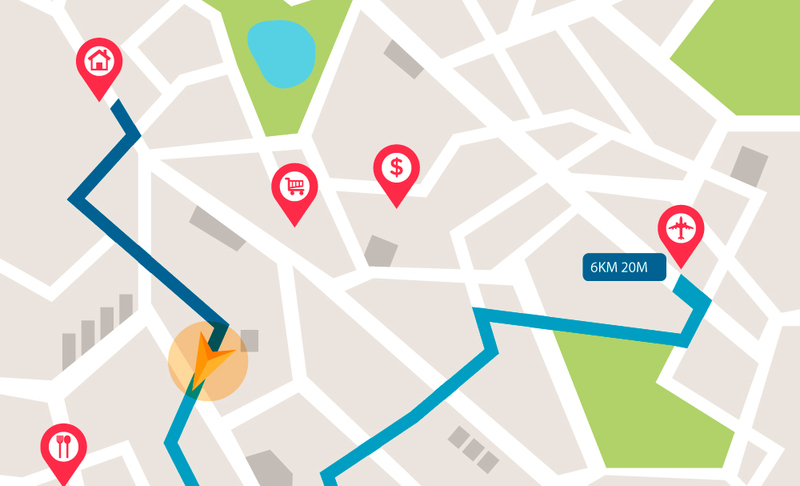 Once drivers get the location, ambulance route optimization software integrated into mobile app should guide the shortest route to destination. Service seekers are more likely to acquire on-demand ambulance services over traditional ones for obvious reasons. The response time and estimated arrival time of on-demand businesses are significantly lesser due to supporting technologies. Moreover, the expense for patient to acquire on-demand ambulance – if they care at all in such critical times – is almost tantamount to traditional services. Therefore, like telemedicine, ambulance on-demand will disrupt its conventional parallels. The increasing median age in the US is resulting in higher proportion of senior citizens. AS per the statistics of 2016, 23.2% of native and 3.3% of foreign-born citizens are above 55 years. These numbers are few solid percentage points higher than the figures from 2013. Following charts demonstrate the results of 2016. The aim of sharing these stats is to reveal the growing need for at-home nursing facilities. Future forecasts suggest that the median age – currently 37.8 – will continue to increase for next two decades. Hence, the demand for on-demand nurses will also correspond. A retrospection of this decade reveals an impressive number of increasing successful healthcare app startups. Many of these emerging mHealth companies belong one of the abovementioned business models. Brief stories about some of these businesses are shared next. Zocdoc does not provide on-demand medical services of its own. Instead, it enables users to find the nearest healthcare facility and to schedule appointments. It also eliminates the hassle of paperwork at clinics and hospitals by allowing the visitors to share requisite information ahead of visit. The number of operational cities crossed 2000 last year as owners aim to expand to more regions. This case reveals the potential of on-demand healthcare app in developing countries. The service started in Singapore but soon expanded to Malaysia with an aim to reach entire Far East by 2022. It provides at-home doctor facility for minor illnesses and injuries. This company presents one of the successful cases of telemedicine apps. The company offers health plans and access to licensed pediatricians. It also connects users with certified doctors and therapists. Although there are many successful on-demand ambulance services, yet the operations in Africa make Flare interesting. Owing to this service, the emergency response time in Kenya has dropped down 15 minutes from a massive 162 minutes. 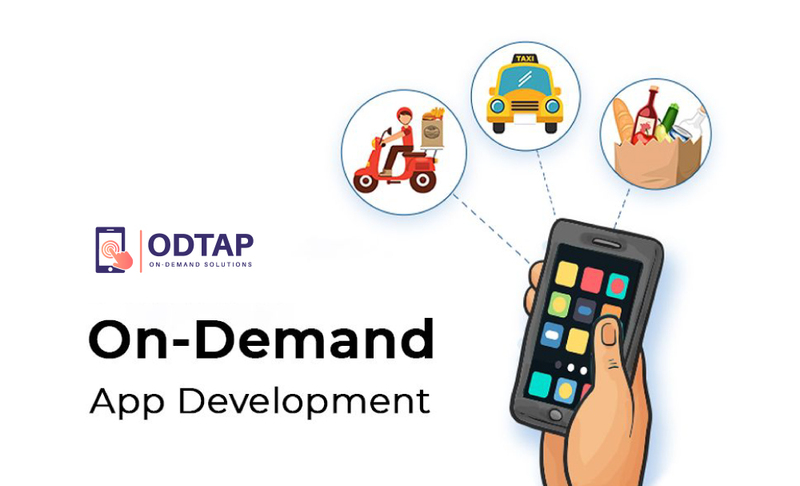 ODTap presents on-demand platform to entrepreneurs. You can customize our Contact us and rebrand it for your businesses. It enables you to customize for any of the aforementioned businesses. Contact us today to get going.